I have something exciting to share! 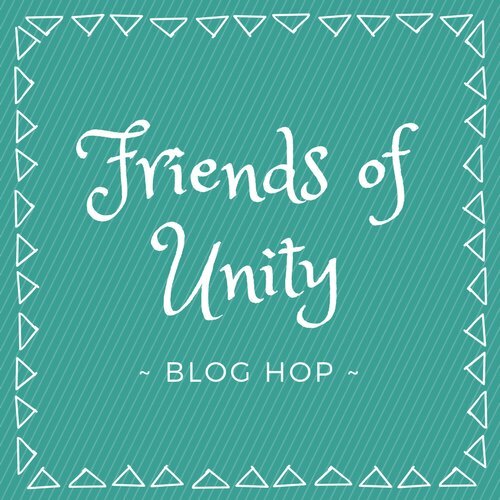 I am thrilled to share this post, kicking off our very first Friends of Unity Blog Hop! Here is what I designed this month for you! I am mailing off the last of my Christmas cards this week, and I had to play with one of my most favourite sets from Unity Stamps to date - called Cheerful Prancing. I stamped him with dark Early Espresso ink from SU and added Versa mark on just a portion - then I heat embossed with Gold embossing powder to add a bit of SHINE! This set is adorable - and to add to the fun - I received an extra deer in my Grab Bag - so I would love to give it to a special someone! Here is a list of the other Hoppers - be sure to have a look around Dawn is up next - and we sure hope you join us again next month! Absolutely stunning!! I love the layers and the way you did the twine! Love it! I love the gold embossing, and all your layers! Stunning card - I have been playing with this set as well. Please don't put me name in for the extra deer since I have the set already - would love to see someone who doesn't have it get it! I LOVE your card! It has just the right touch to be a masculine Christmas card too. Beautiful, Amber. Love all the layers, colors and textures! Very pretty card! Love this idea!! The deer is so cute and gorgeous with embosingpowder!! I have been looking for a great deer stamp and this one is beautiful. I love the layers on the card...us that torn edge vellum in there? A very pretty card . That is an amazing deer stamp! Your card is beautiful, Amber. I just LOVE this set!! Beautiful card!! Amber, this card is gorgeous! I love how you embossed the deer in gold. I love your choice of pattern paper and the ripped vellum. I live how you used the vellum. The layers are just great! So very gorgeous! Love all the elements on this card. What a beauty! Love your layering. Very nice. This card is gorgeous! I love the rustic Christmas feel with your paper choices and your partial embossing of that pretty deer is the perfect creative touch. Love, love, love this! Just beautiful- love the beautiful embossed deerl! Great touches- like the rustic look and the sentiment and star embellishment. 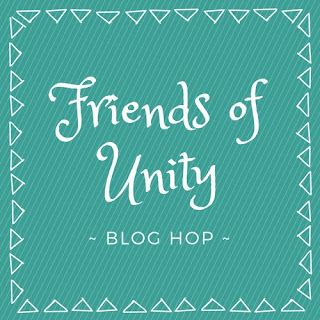 What a fun concept- off to visit the other blogs! Nice effect to heat emboss some of the image. It looks great. Lovely, like the added star. I really like your card, contemporary but simple. The deer looks great and I really like all the layers. Thanks for sharing your idea. Wow that is festive and elegant. 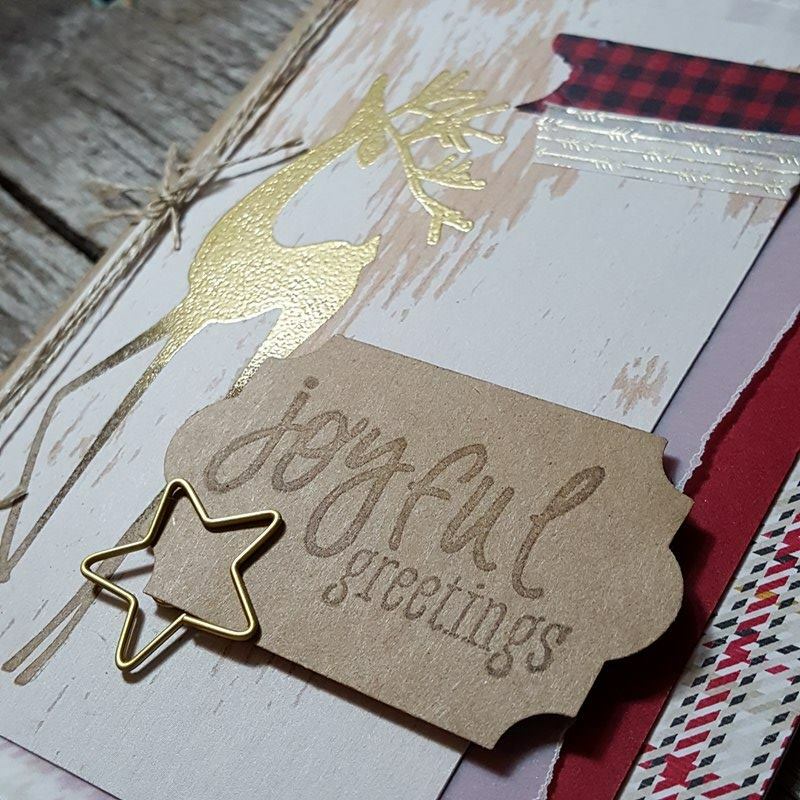 Love the layers and your gold embossing deer. Love the layers and that deer!